We had the honor of welcoming the Swedish RPG legend Anders Blixt on the show. Anders has 42 years of experience in the RPG business and is the man behind Drakar och Demoner Expert and a whole heap of fantastic Swedish games. 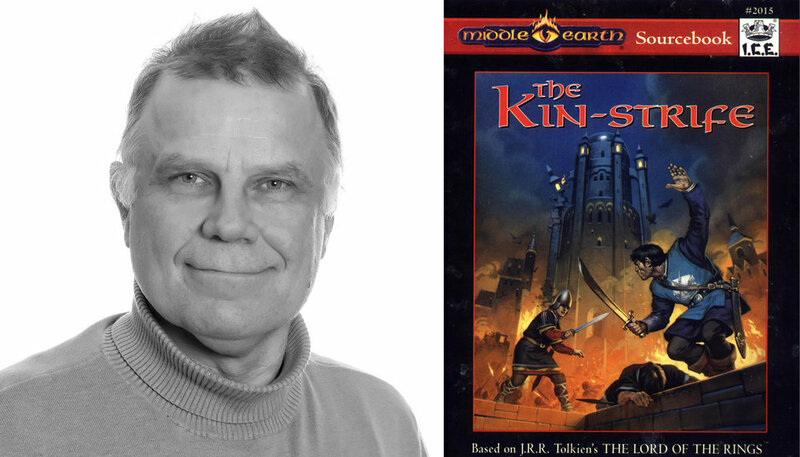 In this interview we talk about the module “The Kin-strife” that came out in 1995 for Middle-earth Roleplaying (MERP) that he was the project leader for. Mattiaz was joined by Andreas Lundström from Tärningen är Kastad, Sweden Rolls and Dungeons & Diceappointments for this interview. We have something special for you today. We have played the short adventure “The distressed husband” from the classic MERP module “The Kin-strife” using the rules from The One Ring by Cubicle 7. "The Kin-strife" is a module about the civil war in Gondor between traditionalists and loyalists that took place about 1600 years before the events in “Lord of the Rings”. Music by: Andreas Lundström and tracks from the compilation “Behind the canvas of time” by Cryo Chamber.